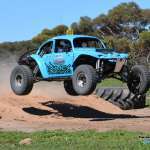 Colin Doney will be out to claim the the WA Off Road title at the Kalgoorlie Desert Race. 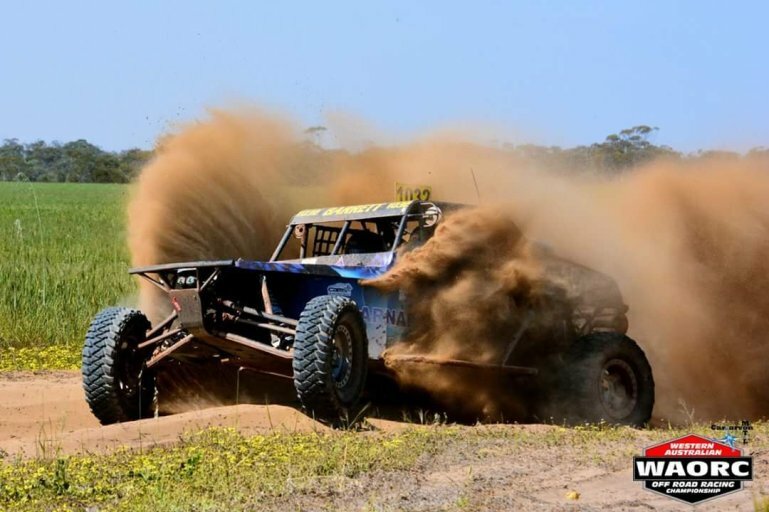 The Western Australian Off Road Champions will be crowned at the Black Diamond Drilling Kalgoorlie Desert Race in what promises to be an epic title fight. The 2018 Carnarvon Motel WAORC has come down to a two-horse race, with Colin Doney holding a slim 12 point lead over Jared Percival. With 21 points on offer at the final round, a first or second outright for Percival will see the Prolite pilot claim back-to-back WAORC titles. For Doney, a round win with Percival in third or worse will see the Extreme 2WD competitor claim the title. If Doney finished second through to sixth, he will be hoping that Percival is four or more positions adrift. Jarred Percival is fighting for back-to-back WA Championships. The remaining podium position is up for grabs with several competitors in with a chance, from Shane Elphinstone currently in third to Chris Unstead in seventh. Should Percival suffer a DNF, Elphinstone, Harleigh Uren and Darren Agrela are all in the hunt for second outright. 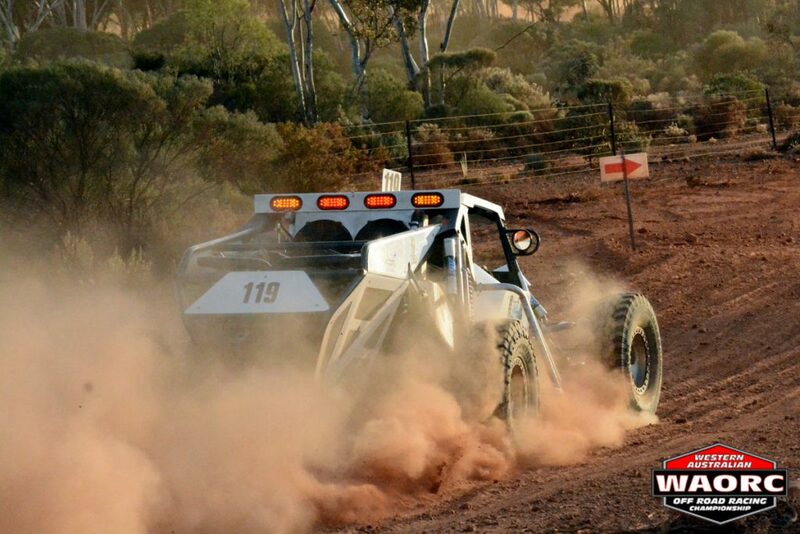 The WAROC Class titles will also be decided at the Kalgoorlie Desert Race. 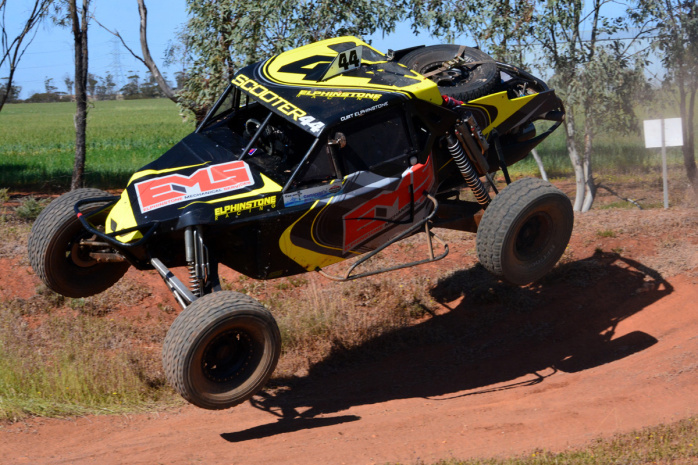 Shane Elphinstone holds a slim lead in the Pro Buggy Class Championship. There is nothing in it in the Pro Buggy class championship between Elphinstone and Agrela, with Elphinstone holding a slim 15 point lead. Both V6 twin turbo powered Jimcos have a shot at the title with 630 points on the line for winning each section. Craig Wells, Brad Cooper, David Hickey, Grant Payne, Troy Schoen and Steven Phillips all have a chance to nab third in class. Jared Percival has all but sewn up the Prolite class championship with only Mark Jarret in contention – he sits 581 points behind with 630 points on offer. Mal Yeardley, David Rowett and Jake Clucas are all in a tight battle to fill out the minor placings. Michael Davis has the Super 1650 class title in the bag. The Super 1650 title has already been sewn up by Michael Davis with an insurmountable lead. Aaron Dark and Daniel Allen will battle it out for second place, whilst Charlie Edwards and John Flynn are both within touching distance of third in class. Peter Barrett is locked in a battle with Deon Visagie for Sportlite class honours. In the Sportslite class, Peter Barrett and Deon Visagie are locked in a tight battle while Travis Epis has wrapped up the Production 4WD Class Championship. Behind him, a field of seven competitors will fight it out for the minor placings. Extreme 4WD sees Mitchell Davies and Nicholas Van Geest facing off for the class title. Whilst Davies holds a handy points buffer, a perfect race by Van Geest could see him steal the title in the all Nissan duel. Adrian Brestovac, David Fong, Mark Murray, Peer Horn, John Pursehouse and Brad Krepp are all in with a shot at a podium position in one of the most open fields in the WAORC. 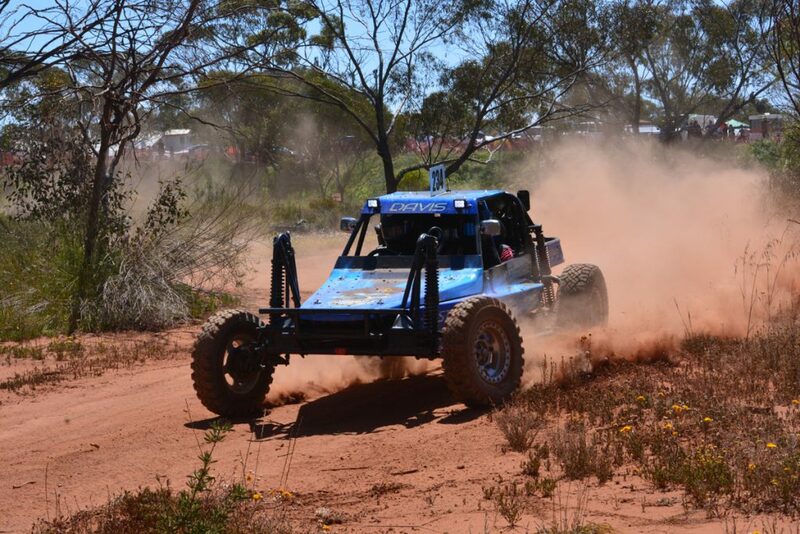 Flawless performances in 2018 has seen Mathew Beck clinch another Performance 2WD title while in the Extreme 2WD, Doney has a big lead over Harleigh Uren who has locked in second place, with six drivers in the hunt for third in the class championship. SXS Sport has been dominated by Mark Wainwright in 2018, while Michael Ware has the SXS Turbo class sewn up in his Polaris, with Unstead hoping to lock in second in his CanAm. The Black Diamond Drilling Kalgoorlie Desert Race, which hosts both car and bike events, will see more than 80 competitors tackle the 400 kilometre race. Starting at Kalgoorlie International Speedway complex, competitors complete three laps of the 142 kilometre loop, heading north to Mt Vetters Station, passing through Broad Arrow and Lake Perkolilli before returning to the motorplex. Racing will take place on Saturday 27 October and Sunday 28 October with a special show and shine street party on Hannan Street on Friday, 26 October from 4pm AWDT. Visit www.waorc.com for news, results and event information on the Western Australian Off Road Racing Championship.